In a library all the books are perfectly organized and categorized on the shelves. Why don't you do the same with your electronic books and use a similar organization system? 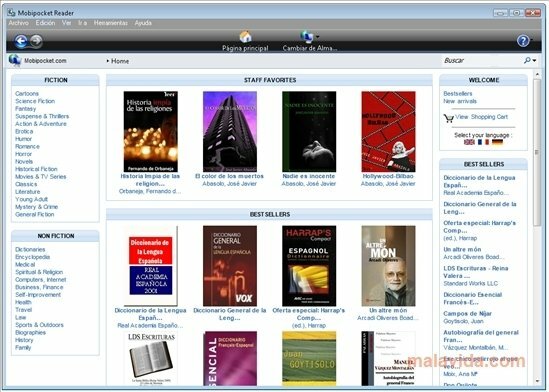 Mobipocket Reader is a software that allows you to create your own digital library, organize the volumes that form part of it, read your eBooks or add all kinds of notes to them. 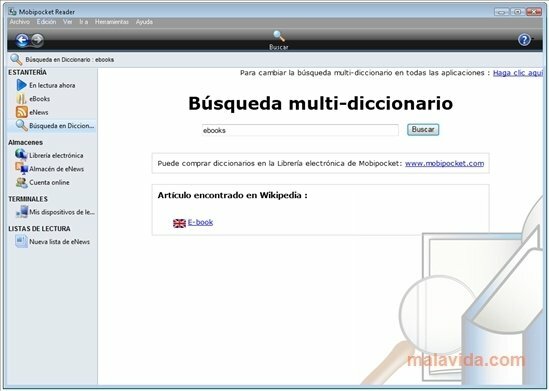 This application can centralize all the work with electronic books or even your own documents and self-publications. Vast amount of compatible formats. Create you own reading lists. 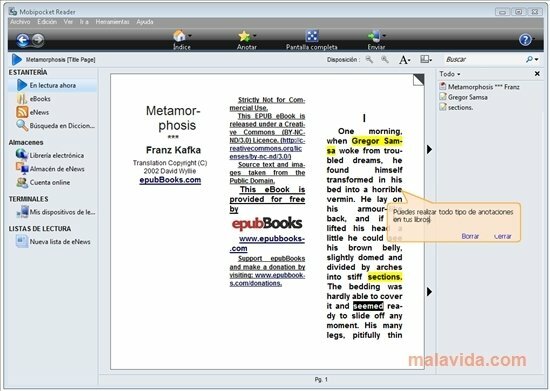 Edit the metadata of your electronic book collection. Value and rate each document. Use the integrated search engine to quickly find the books in your collection. New filtering options for advanced searches and different visualization options on the interface. Read from the same application or easily send the document to any mobile device. 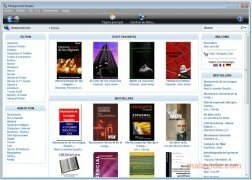 Obtain your electronic books from more than 10 integrated online libraries. You can make all kinds of notes with your books. Highlight parts of the text or create markers on them: all this information will be kept once you have transferred all the files to your mobile device. These notes can be added both from the software on the PC as well as from the application on the mobile device. Any mobile device in your pocket? 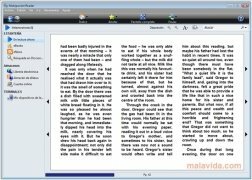 Mobipocket Reader is an application that has optimized how it works to be used as a bridge between books and the new generation of mobile devices capable of reading them. Connect your smartphone, PDF, tablet or memory card to the computer to quickly transfer the eBooks to them and enjoy them wherever you go. Download Mobipocket Reader for free, one of the best digital libraries for eBooks that you have seen up to now. If you read eBooks, you'll find all the tools necessary and some additional options to make it easier to manage your digital collection.